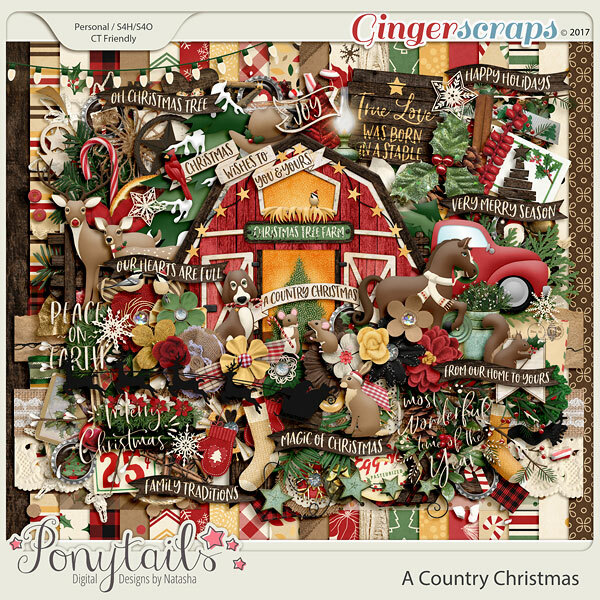 Ponytails Designs just recently released an adorable new kit called A Country Christmas. It worked perfectly for a picture I took recently of our youngest before we went into see Ferdinand. 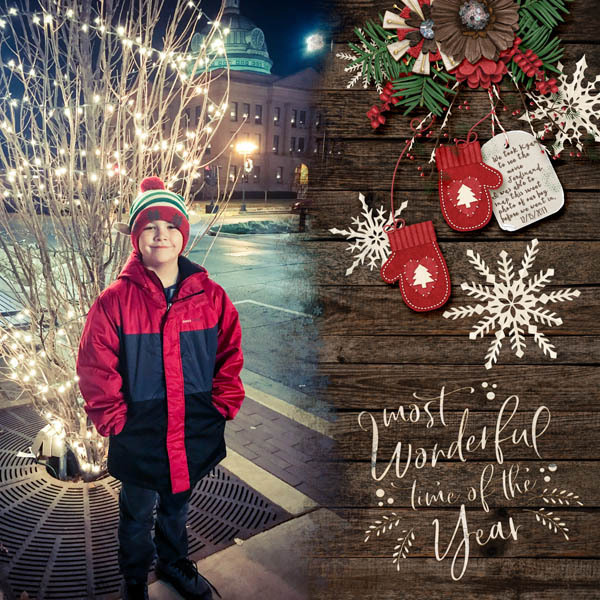 Kyan stood on the corner of our town square next to a tree lit up for the season. I can't believe he'll be 9 soon.